Lights, applause, tearful speeches, air kisses and smiles. You know what they say: “If it looks like a duck and quacks like a duck, then it probably is a duck.” So when you have all of the above, it’s usually a safe bet that it’s an awards ceremony. The Oscars, the Emmys, heck even the Eurovision. In the literary world, we might not have Beyoncé or Meryl Streep, but we try our best. The model to aspire to is the Man Booker Prize ceremony, a sumptuous gala in regal surroundings, with inimitable British aplomb, often televised live and the Prize last year handed out by the Duchess of Cornwall. 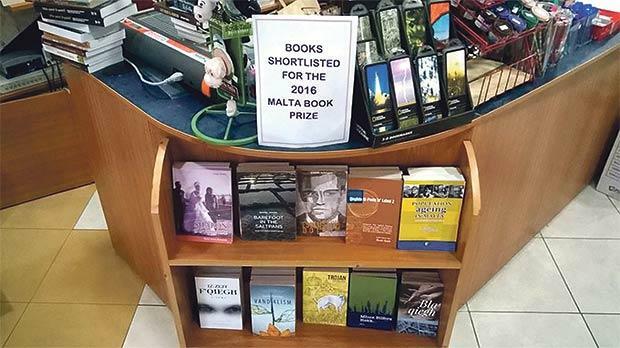 In Malta we have our own Book Prize, organised by the National Book Council and held in the hallowed halls of Castille. We might not have the Duchess of Cornwall, but we do have Joseph Muscat, the prize ceremony being held under the auspices of the Office of the Prime Minister. The ceremony used to be a tired affair, often held in some off-fringe hall redolent of bored press conferences or morning school roll-calls. Thankfully, over the years the quality of this only occasion for Maltese literature to celebrate its continued existence against all odds, has steadily increased. The previous council moved it into Castille – a move I was at the time dubious of, given the restraints that being hosted by the busiest man in the country entail, but admittedly over time I have come to appreciate the added grandeur and spotlight that the location bestows to the event. So, a belated well done to former chairman Ġorġ Mallia: chapeau, you were (are) a wiser man than I. The current council has further upped the pizzazz and formality of the event. I’ve been impressed by the polish that has been given to the Book Prize ceremony in everything from graphic styling to stage direction of the evening. The prize money handed out to authors is significant for the local market, as are recently introduced incentives such as the Arts Council-sponsored translation grant. Publishers’ role in literature is acknowledged throughout the ceremony – which is not a given in this country, where we are often invisible and the last to be appraised of anything related to literature and books. I’m a bit less in awe of the revamped prize categories, which tend towards the arbitrary and the simplistic given that, unlike many other countries, in Malta there is just this one prize so anything not covered by it just falls by the wayside. But let’s not get too negative just yet… there’s time for that, later. And since we’re handing out mea culpas like there’s no tomorrow, perhaps I should here give a nod to Book Council chairman – and organiser of the ceremony – Mark Camilleri. Anyone who knows the both of us, will know that we did not exactly start off on the best of notes. That’s putting it very mildly. However, I find myself having to admit that not only has he grown into the role and more than managed the steep learning curve, but he has also come to understand – and defend like no other – the difficulties faced by the local publishing industry. Which is ironic, coming from an avowed Marxist (him, not me). That’s 2016 for you. I find my respect for Camilleri increasing the more time passes, and his opening speech at this month’s Book Prize ceremony was possibly his best yet. He demonstrated a grasp of the delicate and often conflictual realities of the Maltese literary scene. He contextualised this within the rise of extremism we are witnessing around the globe, and reaffirmed the right, nay obligation, of authors to challenge the very establishment that might be ‘feeding’ them. On a local level, Camilleri reiterated his concern for the threat being faced by Maltese publishers and authors at present by unregulated and unlicensed copyright exceptions. Although the local situation still has to show any concrete improvement, he has been vocal in pushing for state recognition of the untold damage that piracy and so-called “sharing” is causing to the entire creative community. One of the casualties of a streamlined prize ceremony was the siphoning off of prizes for children’s books into a separate event: the Terramaxka Children’s Books Prize. In theory this is great, as it allows children’s books – a crucial segment of the market – to shine, and not be overshadowed by the more ‘serious’ adult prizes. And yet, it is a sad reality that much of Malta’s literary intelligentsia still looks down on children’s books – suffice it to look at attendance for both evenings. The literary elite was present, resplendent in suits and capes, for the ‘grown-up’ prize, whereas the audience for the children’s prize ceremony consisted largely of the authors and publishers themselves and passers-by. The children’s prize being held in a far corner of the Book Festival hall, tucked between the bar and the toilets, did not help. Neither did the absence of any authority or government representative, other than Camilleri. Ministers have been strangely absent from the Book Festival and Terramaxka opening ceremonies over the past three years. The implicit message being sent is that the children’s books prize is an afterthought, a token event to keep children’s authors and publishers quiet as the main, ‘proper’ prize ceremony is given the spotlight. So yes, the children’s prize ceremony still has plenty of room to improve. But, in the spirit of optimism of today’s column (it doesn’t happen very often, so just roll with it) the success of the Book Prize ceremony provides a terrific blueprint for making the children’s books prize shine as bright. Meanwhile, I’ll go practise my acceptance speech for next year.